Swami Shivshankargiri Chella Swami and Anr Vs. .: Satya Gyan Niketan and Anr. .
Respondent: . : Satya Gyan Niketan and Anr. . This appeal, by special leave, has been filed by the present appellants against the judgment and order dated August 1st, 2011 passed by the High Court of Uttarakhand at Nainital in Civil Revision No.69 of 2008, whereby the revision petition filed by the respondents herein was allowed and consequently the application filed by the appellants under Section 92 of the Code of Civil Procedure (in short ‘CPC’) for obtaining permission to institute a suit was rejected. The question which comes up for consideration of this Court in the present matter is whether the High Court, on the basis of analysis of the facts and circumstances of the case and findings of the Court below, while exercising its jurisdiction under Section 115 of CPC, was justified in setting aside the order granting permission to initiate suit. The facts of the case succinctly stated are that in the year 1936, one Sri Swami Satya Dev purchased some land and constructed a building thereon. Thereafter on 30.11.1940, he waqfed (gifted) the disputed property to Respondent No.2, vide registered deed, with the express condition that Respondent No.2 will not have a right to mortgage or right of sale of the property. The property was waqfed for the development and publicity of the ‘Hindi Language’ in western India and to establish a centre for publicity of Hindi. There was also a recital in the deed to establish a library and to start a ‘Bhyakhan Mala’ etc. and the property was to be managed by a sub- samiti constituted by respondent No.2. “Having gone through the entire evidence on record, I am of the view that prima facie it appears that property in suit was waqfted to the O.P. No.2 for a particular object and purpose i.e. publicity and development of Hindi. The property is to be managed by O.P. No.2 as per directions of Swami Satya Dev “ recitals of the deed prima facie proves that Sri Satya Dev created a constructive trust by gifting the property to O.P. No.2 has not become exclusive owner of the same, because it was gifted with conditions i.e. O.P. No.2 has no right to sale or mortgage the property. Being aggrieved by the order of the learned District & Sessions Judge, the respondents filed civil revision under Section 115 of CPC before the High Court of Uttarakhand at Nainital, being Civil Revision No.69 of 2008, for quashing the order dated 12.11.2008 passed by learned District & Sessions Judge, Haridwar. The said revision petition was allowed by the High Court vide its judgment dated August 1st, 2011, whereby the order granting permission under Section 92 CPC to institute suit was set aside and quashed. Hence, this appeal by special leave. We have carefully examined the registered deed dated 30.11.1940 whereby the disputed property was transferred on certain conditions. The very first question after the perusal of the deed comes before us is whether a trust can be created by virtue of a conditional gift. We have heard learned counsel for the parties at length. Since the appellant was interested in achieving the purpose for which property was transferred and therefore he approached the Court of learned District Judge for seeking permission to file a suit against the Respondents. It is also not disputed that the property was transferred (waqfed) to Respondent No.2 vide registered deed dated 30.11.1940. It is submitted by the counsel of the petitioners that the mere fact that Respondent No.2 is a registered society does not affect the maintainability of the suit in view of the judgement given in the case of Sukumaran Vs. Akamala Sree Dharma Sastha, 1992 (2) 429; Sugra Bibi Vs. Haji Kummu,  3 SCR 83; 1940 PC (10). Lastly, it was a case of breach of administration of trust and the same can be decided by way of evidence and that while granting leave the Court does not decide the right of the parties or adjudicate upon the merits of the case. The only consideration relevant at such juncture is whether there is a prima facie case for granting leave to file a suit and in the light of this submission the High Court was not justified in neglecting the prima facie case of the appellants. 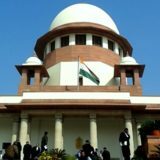 Per contra, it is argued by the counsel for Respondents that society Kashi Nagari Sabha is a registered society and is also the absolute owner of the property of Satya Gayan Niketan Ashram, Jwalapur and cannot be considered as a trust and the High Court has rightly allowed the revision of the respondents. However, it appears to us that the present case deals only with the issue of granting leave under Section 92 of CPC to interested persons to initiate a suit. The present Section 92 of the CPC corresponds to Section 539 of the old code of 1883 and has been borrowed in part from 52 Geo 3 c 101, called Romilly’s Act of the United Kingdom. A bare perusal of the said section would show that a suit can be instituted in respect of a public trust by the advocate general or two or more persons having an interest in the trust after obtaining leave of the Court in the principal civil Court of original jurisdiction. 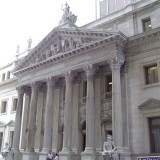 An analysis of these provisions would show that it was considered desirable to prevent a public trust from being harassed or put to legal expenses by reckless or frivolous suits being brought against the trustees and hence a provision was made for leave of the Court having to be obtained before the suit is instituted. After considering the deed executed in the favour of respondent No.2 (Prachaarini Sabha), which is not in dispute, we have noticed that the purpose of transferring ownership of the property was subject to certain conditions and purposes which cast duties on respondent No.2, including development of the Hindi Language and opening a library. Hence, the purpose is rendering the nature of Prachaarini Sabha to be a trust. “Although as a rule of caution, court should normally give notice to the defendants before granting leave under the said section to institute a suit, the court is not bound to do so. If a suit is instituted on the basis of such leave, granted without notice to the defendants, the suit would not thereby be rendered bad in law or non-maintainable. Grant of leave cannot be regarded as defeating or even seriously prejudicing any right of the proposed defendants because it is always open to them to file an application for revocation of the leave which can be considered on merits and according to law or even in the course of suit which may be established that the suit does not fall within the scope of Section 92 CPC. In that view of the matter, we do not think, there is any reason for us to interfere with the order made by the High Court”. We have noticed that the trust deed was executed in favour of the respondents. But it appears in view of the facts and circumstances of this case and the submissions made on behalf of the respondents, that it was waqfed/gifted for a lawful purpose i.e. a “trust” is an obligation annexed to the ownership of the property, and arising out of a confidence reposed in and accepted by the owner, or declared and accepted by him, for the benefit of another, or of another owner, (Act II of 1882 Trusts, Section 3]. Accordingly, in our opinion, the application filed by the appellants was falling within the required ambit of Section 92 of CPC and the learned District Judge had rightly permitted the appellants to institute a suit. We are of the considered opinion that High Court has erred in setting aside the well reasoned order of the learned Judge and grossly erred in not diligently examining the facts and circumstances in the light of the registered deed dated 30.11.1940. After the amendment was brought to the Code of Civil Procedure in 1976, duty was cast upon the Court, instead of Advocate General, to take into account these considerations for granting leave under this section. Prior to the 1976 amendment, all these considerations were to be kept in mind by the Advocate General before granting consent to institute a suit against a public trust. Accordingly, in this factual matrix and the law laid down by this Court and other relevant judicial precedents, we hold that the learned Single Judge erred while granting leave to the appellants. It was the statutory duty of the Court to examine that whether the plaint is so annexed with the application under Section 92 CPC or not. We have noticed that High Court has also erred in neglecting this fact. From a perusal of the compete material on record, in our opinion, the allegations put forth could only be determined by way of evidence in a special suit under Section 92 and respondent No.2 is enjoying the ownership of the disputed immovable property while acting as a trustee. Hence, for the ends of complete justice, the appellants are granted liberty to move appropriate application in accordance with law, within a period of 30 days from the date of pronouncement of this judgement. Civil Courts having jurisdiction to entertain any suit in this country are expected to carefully examine applications of such kind as discussed above. This appeal is disposed of in above-noted terms.